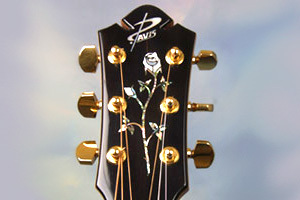 Ever since Dan Davis's first acoustic guitar, built under the guidance of Serbian born master luthier Bozo Podunavac, he has set the standard for high quality, tone, and playability. With very limited production, Dan Davis acoustics live and breathe detail allowing the tone and performance to match their beautiful and unmistakably unique style. 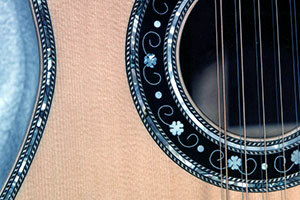 Hand-carved bracing and individual attention to each instrument allow Dan to shape each guitar's voice to work best with the customer's desired tuning, scale length, or musical needs. It's the Davis Guitar mission to deliver high quality instruments lasting a lifetime while providing the player an effortless path to creativity and enjoyment. 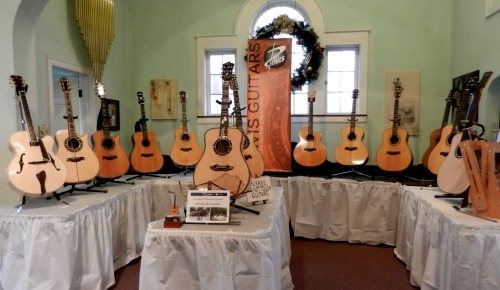 Check out the Davis guitar models! Click to view the current price list. 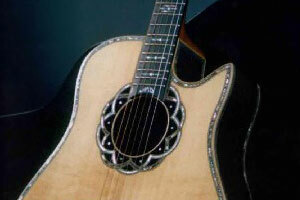 View the Davis Guitar Photo Gallery.